1. Log in to WebEx. 2. 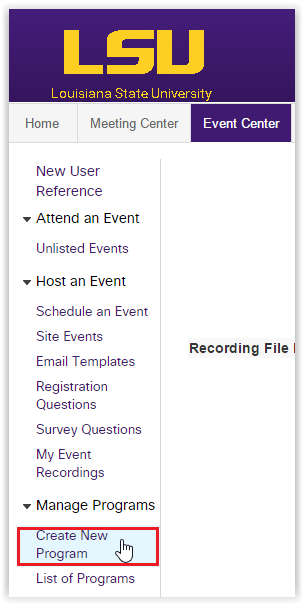 Switch to the Event Center tab at the top of the screen. 3. 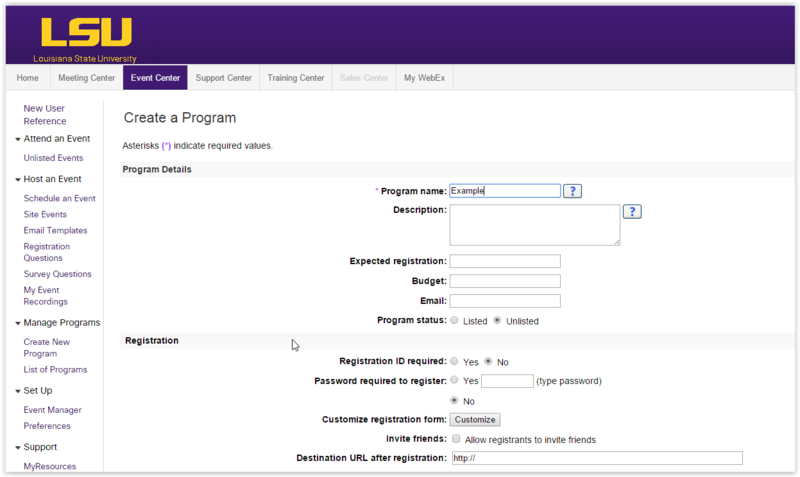 Click Create New Program under the Manage Programs dropdown on the far left. 4. A new window should appear. Edit the settings of your progam (Note: The only mandatory settings in the program name) and select Save at the bottom of the screen. 5. Once your program is saved, a list of all of your programs should appear with the heading Manage Programs. Here you can edit, delete or add a new program.